Swansea City football club have sacked manager, Francesco Guidolin and replaced him with former United States national team boss, Bob Bradley. The Italian has become the first Premier League manager to be sacked this season. Guidolin had only been in charge of the Welsh side since January and has been removed from his position after picking up just four points in the first seven games of this season’s Premier League. The Italian’s last game in charge was Saturday’s 2-1 home defeat against Liverpool, where he saw Swansea lose a first-half lead. 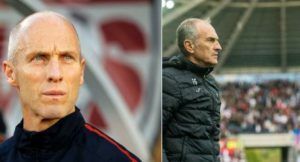 Bradley, 58, leaves his role with Ligue 2 club Le Havre to take charge of Swansea, with his first game being a trip to play Arsenal on October 15 after the international break.